Wire style love token bracelet. 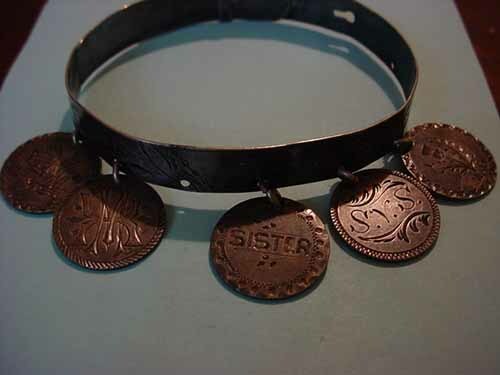 Love token bracelets are constructed in a variety of ways. Some are joined together end to end with jump rings. Usually there are two holes per coin at 9:00 and 3:00. Occasionally four holes will be used for added strength and stability. Fancier in-line placement may be done by the addition of soldered on loops which are then connected by jump rings. 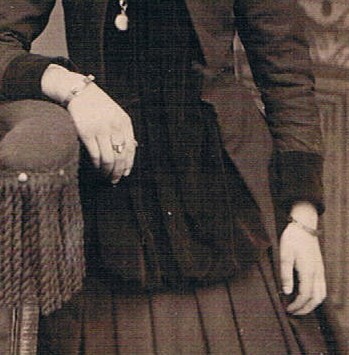 The other popular style was a rigid band resembling a belt and having a buckle type closure. 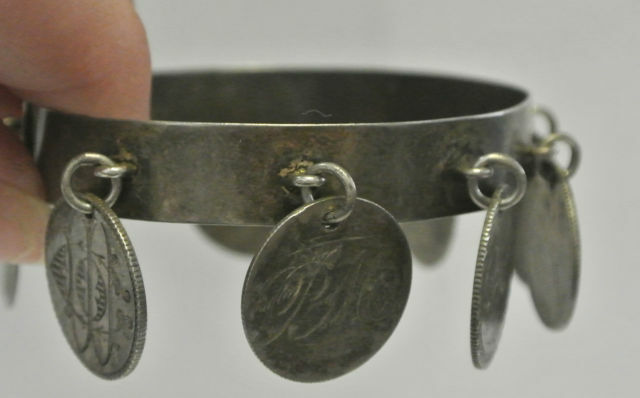 These bands were often engraved to compliment the love tokens that hung from them like charms. Every now and then one might come across a chain link bracelet with attached love tokens. 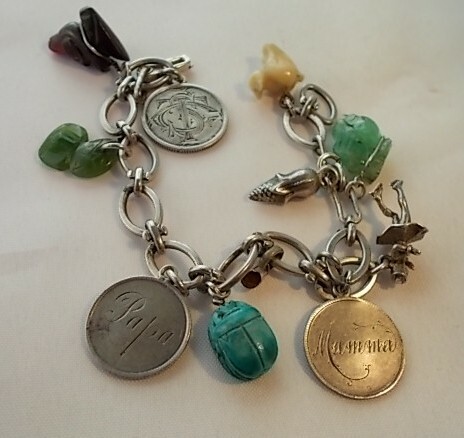 Seldom seen is the bangle bracelet with charms that float freely on it. Also scarcer is a more “homemade” type made from wire that is twisted around the love tokens at even spacing points and then has some type of primitive closure. 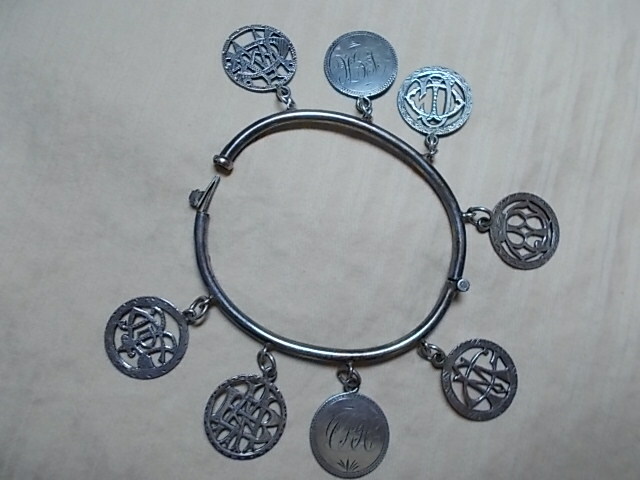 Sterling band style bracelet with hanging love token charms. 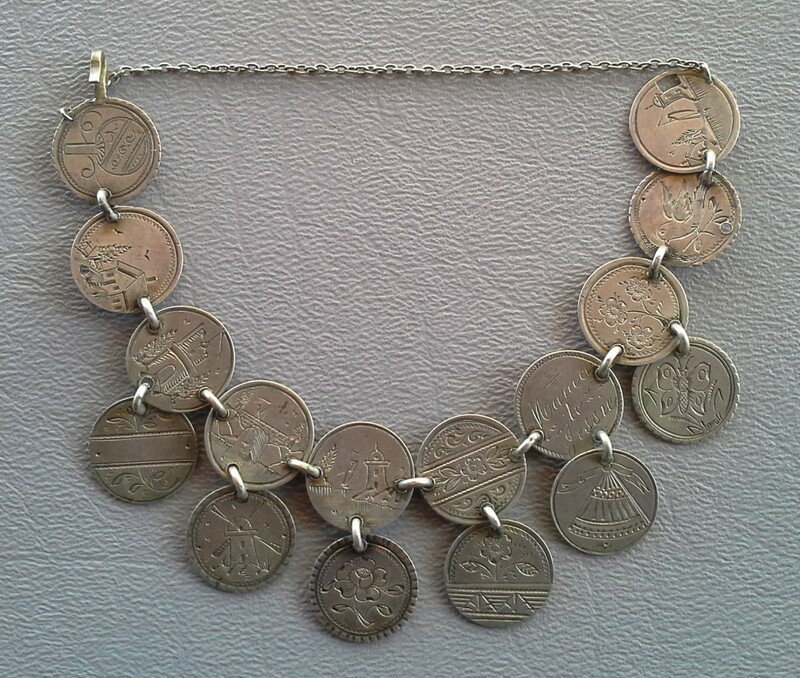 Holes drilled in band and coins, then connected with jump rings. 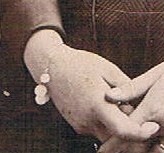 Two band style bracelets, one on each hand. 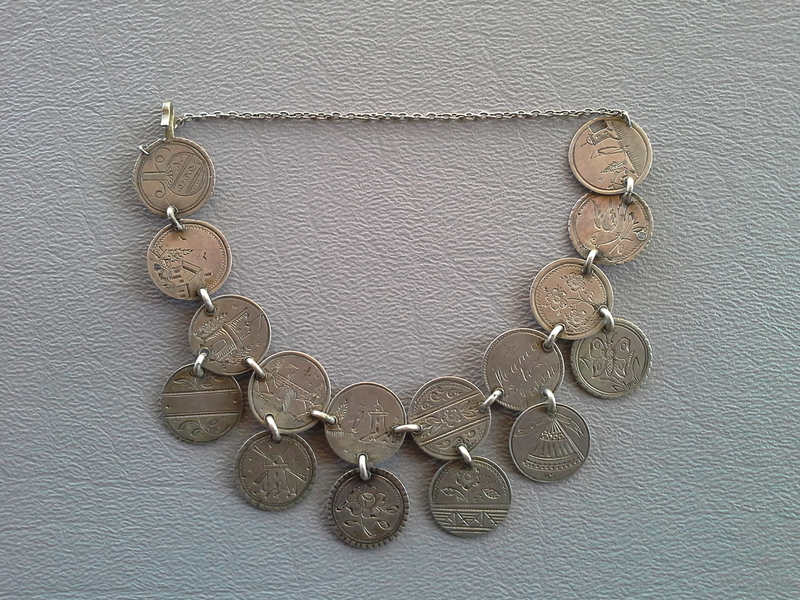 joined to coins with jump rings. jewelry section for detailed pictures. initial love tokens. Two regular initial love tokens as well. Three cent silver bracelet loaded with pictorials. Top row: Japanese fan, house, castle ruin, bridge, lighthouse, flower, “mama to Jessie”, flowers, bird, and landscape. Bottom row: leaves with blank center, windmill, flower (rose), flower (Forget-me-not), fan, and butterfly.